In Grand Sport Detailing, we only offer the finest and best Paint Protection system that is already established on the market. We are very passionate with automotive detailing and we take full pride in our work and the work we do speaks for itself. No filters, no photoshop and no gimmicks. We don't rush through the preparation process where many of the self-proclaim professional detailers skip. 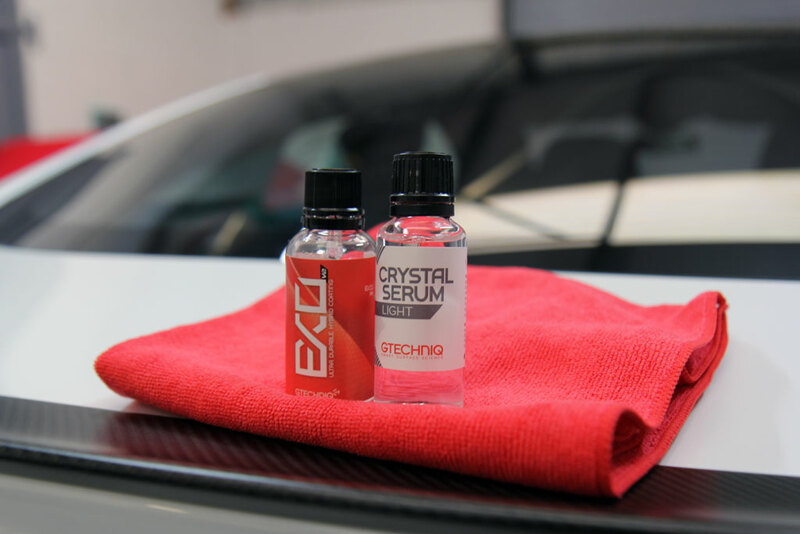 Preparation is the key to performing paint protection and intense gloss and shine that does not wear out in a few months. It last for years not months. We do not give out false "lifetime warranties", we offer the real protection that is continuously tested and proven. DO NOT fall for dealership paint protection when our paint protection ACTUALLY performs? Stay away from paying overpriced dealership protection that doesn't work. GET GTECHNIQ THAT ACTUALLY WORKS. All our Paint Protection is GUARENTEED with Warranty. Grand Sport Detailing is a GTechniq Accredited Detailer. We are authorised to use and apply the GTechniq Professional Range in Melbourne. - Headlights and taillights coating. Please take note coating itself needs to be cured and reach in full hardness in a period of time due to it's nature. It does varies from options of coatings.